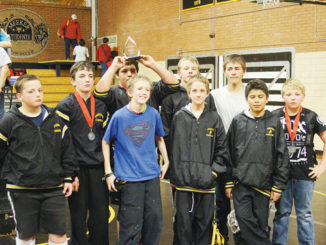 RBC I Ten Rio Blanco middle school wrestlers, including eight from Rangely, wrestled in the Western Slope Regional Tournament in Grand Junction. 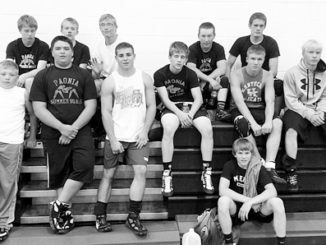 Nine of those 10 wrestlers qualified for the state tournament in Denver. MEEKER I Barone Middle School eighth-grader Tevin Pelloni finished the regular season of the middle school wrestling season undefeated and he will wrestle in the state-qualifying middle school regional tournament in Grand Junction this weekend. 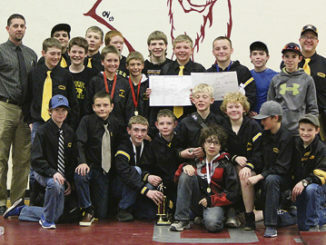 MEEKER I The Barone Middle School wrestling team finished second again, this time in Oak Creek, placing 10 Cowboys in the top four, including three champions. 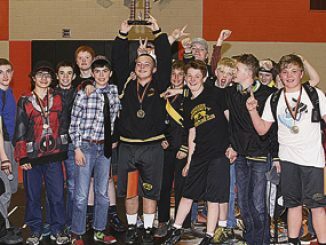 MEEKER I Three Barone Middle School wrestlers advanced to the championship match in a tournament held in Oak Creek on Saturday, and two seventh-graders won titles in their respective weights. MEEKER I Barone Middle School eighth-grader Eli Hanks was the only Cowboy to win a gold medal in the Carl Ramunno Memorial wrestling tournament held Saturday in Steamboat Springs.